Aggregator models and hyperlocal delivery, in theory, have some significant advantages over existing business models. Unlike an inventory-based model, aggregation is asset-light, allowing rapid building of critical mass. A start-up can tap into existing infrastructure, as a bridge between existing retailers and the consumer. By tapping into fleeting consumption opportunities, the aggregator can actually drive new demand to the retailer in the short term. 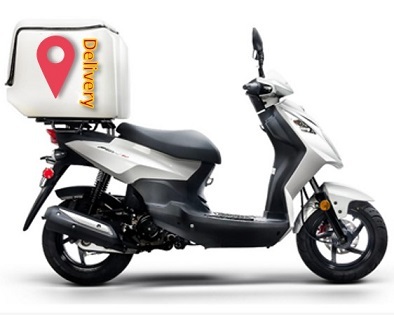 A hyperlocal delivery business can concentrate on understanding the nuances of a customer group in a small geographic area and spend its management and financial resources to develop a viable presence more intensively. However, both business models are typically constrained for margins, especially in categories such as food and grocery. As volume builds up, it’s feasible for the aggregator to transition at least part if not the entire business to an inventory-based model for improved fulfilment and better margins. By doing so the aggregator would, therefore, transition itself to being the retailer. Customer acquisition has become very expensive over the last couple of years, with marketplaces and online retailers having driven up advertising costs – on top of that, customer stickiness is very low, which means that the platform has to spend similar amounts of money to re-acquire a large chunk of customers for each transaction. The aggregator model also needs intensive recruitment of supply-side relationships. A key metric for an aggregator’s success is the number of local merchants it can mobilise quickly. After the initial intensive recruitment the merchants need to be equipped to use the platform optimally and also need to be able to handle the demand generated. Most importantly, the acquisitions on both sides – merchants and customers – need to move in step as they are mutually-reinforcing. If done well, this can provide a higher stickiness with the consumer, which is a significant success outcome. For all the attention paid to the entry and expansion of multinational retailers and nationwide ecommerce growth, retail remains predominantly a local activity. The differences among customers based on where they live or are located currently and the immediacy of their needs continue to drive diversity of shopping habits and the unpredictability of demand. Services and information based products may be delivered remotely, but with physical products local retailers do still have a better chance of servicing the consumer. What has been missing on the part of local vendors is the ability to use web technologies to provide access to their customers at a time and in a way that is convenient for the customers. Also, importantly, their visibility and the ability to attract customer footfall has been negatively affected by ecommerce in the last 2 years. With penetration of mobile internet across a variety of income segments, conditions are today far more conducive for highly localised and aggregation-oriented services. So a hyperlocal platform that focusses on creating better visibility for small businesses, and connecting them with customers who have a need for their products and services, is an opportunity that is begging to be addressed. It is likely that each locality will end up having two strong players: a market leader and a follower. For a hyperlocal to fit into either role, it is critical to rapidly create viability in each location it targets, and – in order to build overall scale and continued attractiveness for investors – quickly move on to replicate the model in another location, and then another. They can become potential acquisition targets for larger ecommerce companies, which could acquire to not only take out potential competition but also to imbibe the learnings and capabilities needed to deal with demand microcosms. High stake bets are being placed on this table – and some being lost with business closures – but the game is far from being played out yet. Retailers seem to be fighting a losing battle against the growth of ecommerce, and it is only the nature of the shopping activity, especially for fashion – interactive, social, and immersive as it is – that has kept many retailers relevant and in business. However, the defensive stance is changing, and now they’re using technology to get the customers back into the store. Forward-thinking retailers are reimagining trial rooms, stores, business processes and entire business models. It’s not a physical versus virtual approach but an approach that integrates both sides. The idea is to create a more immersive experience than pure digital retail can be, using some of the same tools as ecommerce. It is important to remember that the whole retail environment is a “suggestive” environment. Due to cost and other operational factors most retailers are ill-equipped to provide appropriate levels of excitement, suggestion and support during the browsing and buying process. 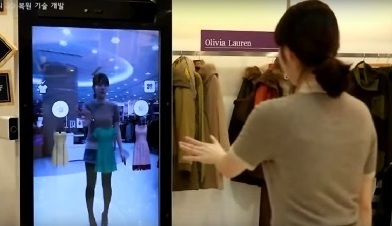 For many, the simplest move could be screens serving up their catalogue to customers within the store. For instance, US department store chain Kohl’s has initiated connected fitting rooms that identify products the customer is carrying, and bring up not only those items onscreen, but additional colours and sizes that are available. If the customer wants an alternative, a message goes to a sales associate who can fetch the requested option. Macy’s and Bloomingdales are using tablets in the trial rooms, while Nordstrom, Neiman Marcus and Rebecca Minkoff are attempting to boost their fashion sales using magic mirrors to provide similar enablement. These devices and the processes empower and involve the customer far more, while leaving store staff free for other activities. A step up, Puma is using “virtual trials” for its apparel products by having a customer take images of herself in specific positions, and then mapping styles on their own images to visualise how they might look. While this needs more work and investment, this is still only a more developed product browser technique from the customer’s point-of-view. The next level, augmented reality trials and virtual fit, are significantly more sophisticated at creating simulations of a selected garment image draping and falling on the customer’s body even as he or she moves normally. Imaging and texturing of the simulated garments is technically challenging and expensive, repeated for each new style and option. The imaging also needs to mimic the “wearer’s” movements. Nevertheless, retailers such as Polo Ralph Lauren are finding it worth their while to investigate these new technologies, as these reintroduce the much needed “theatre” that are integral to a successful retailer. For the customer virtualisation expands the number of items “taken” into the trial room, and creates more convenient product discovery. More products can be seen in the same shopping time, and sharing of images and videos with friends and family, engages them in the shopping process as well. For retailers, the benefits multiply. Inventory can be optimised, and there is reduced handling and shrinkage. Even without sales associates, it is feasible to prompt for alternatives and related products, improving conversion and transaction values, reducing space and costs of physical trial rooms, and increasing the number of customers serviced especially at peak traffic times. A phenomenal advantage is the data captured that is relevant while the customer is in the store, but which can be linked to future promotions. Valuable intelligence, such as what is being tried and for how long, can help the retailer to quickly gauge demand patterns, and adjust pricing and promotions. Normally retailers only capture sales transactions (post-fact), and miss out the rich information on in-store behaviour that etailers do collect and analyse. However, massive hurdles to virtualisation remain, including data input accuracy, product accuracy, and the technical capabilities of the tech solution adopted. A bigger concern is whether technology is intuitive and seamless, or whether it gets in the way of the shopping experience. Further, consumers do have privacy concerns about the images and other data collected. Its important to remind ourselves that, on its own, technology is just a novelty – huge transformation of business processes, organisational capabilities and behaviours must happen as well. That is perhaps the biggest mountain to climb.